Farm Girl Pink....: ~ Armstrong Linoleum Flooring - Killing me with cuteness! 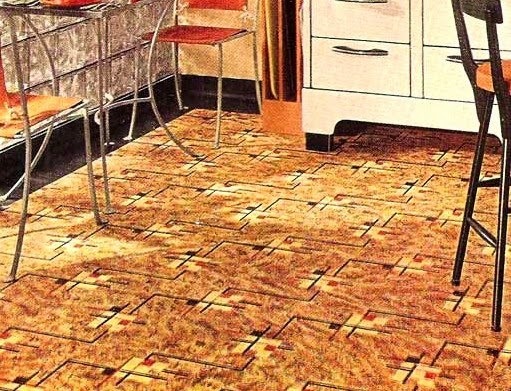 ~ Armstrong Linoleum Flooring - Killing me with cuteness! My goodness.... this entire kitchen is killing me with its cuteness! 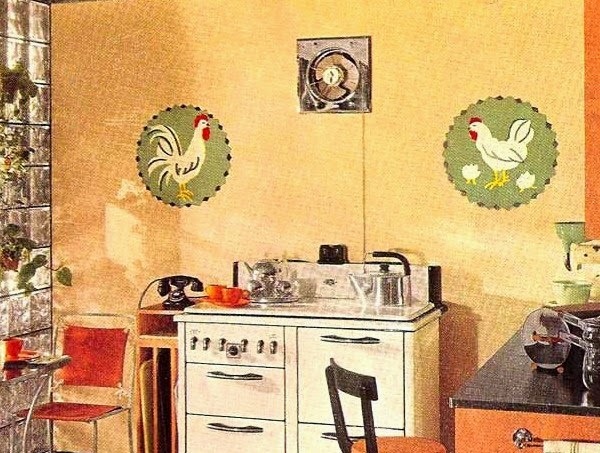 I have such a love of vintage chicken kitchen decorations. 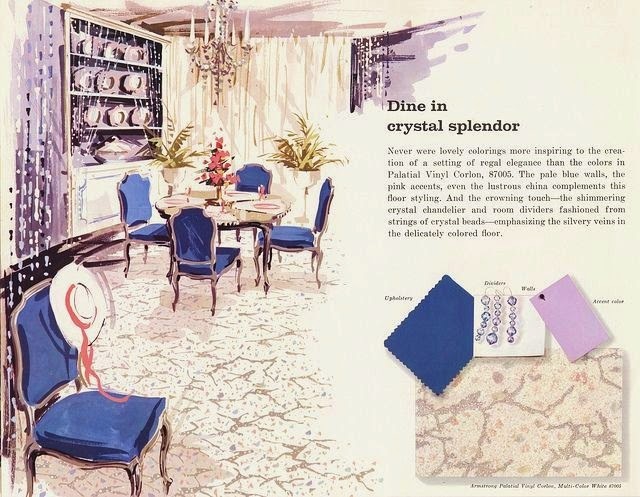 And when I came across this Armstrong booklet, showing off their flooring. I nearly fainted when I saw those chicken wall paintings. There is even a old Sunbeam mixer on the counter... with its matching Jadeite green juice attachment! I like the shades of oranges in this period. More of a sherbet shade. And the greens during the 1930's lean towards the fabulous Jadeite green to moss green. Happy colors. The only thing that gives me pause about vintage kitchens. Is the lack of upper cabinets. Now the booklet I came across for Armstrong Linoleum Flooring, is from 1939. And it has all this amazing flooring, for any room in the house. 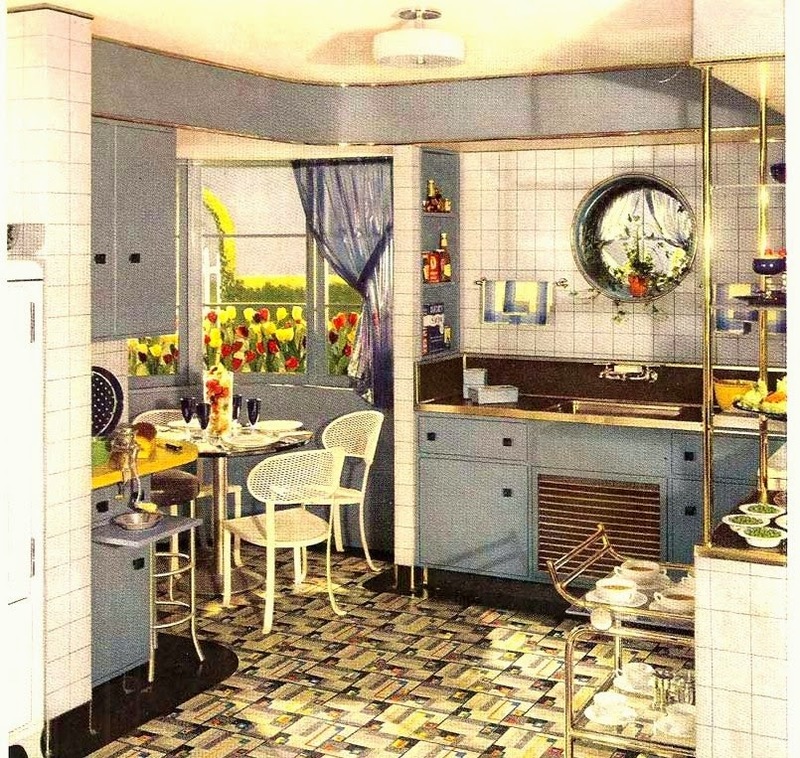 But I am obsess with the flooring for these vintage kitchens. I am always intrigued with the port holes in these 1930's homes. They were not limited to the kitchens. I have notice they tend to pop up in bathrooms too. 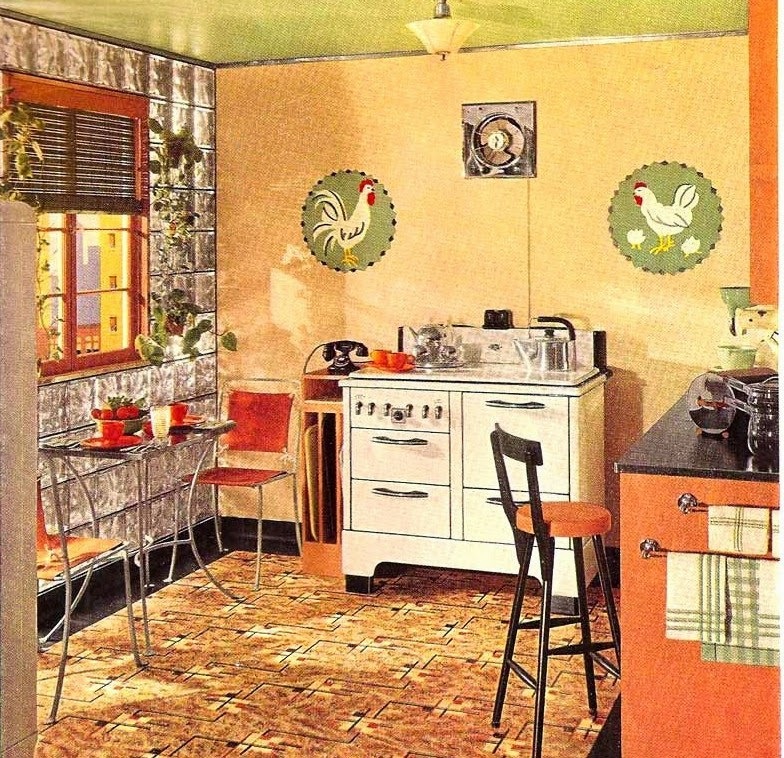 But today I am on a kitchen rant and the beauty of the vintage Armstrong Linoleum Flooring. Look at that linoleum! Love everything about this flooring. Why do we not get such fabulous options now? Look at this one! And its from 1927. Pink, turquoise and green checked linoleum. How amazing. 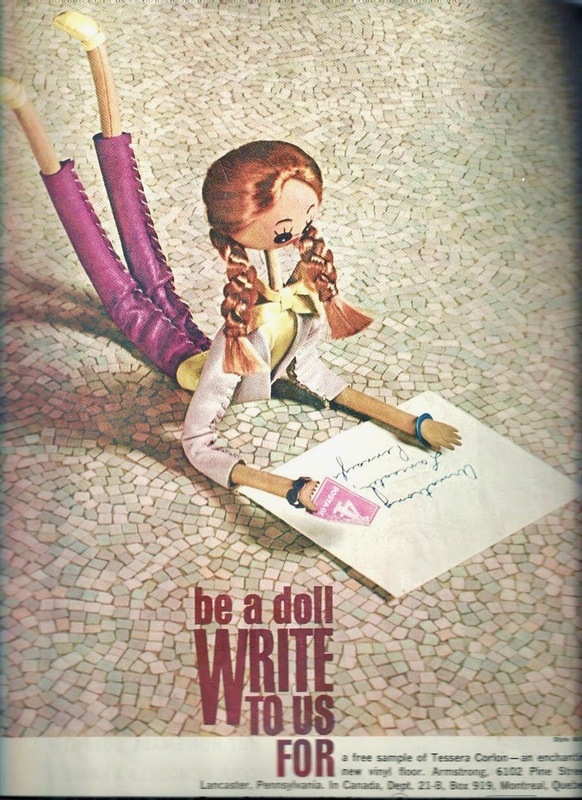 And of course there are those Mid Century years. 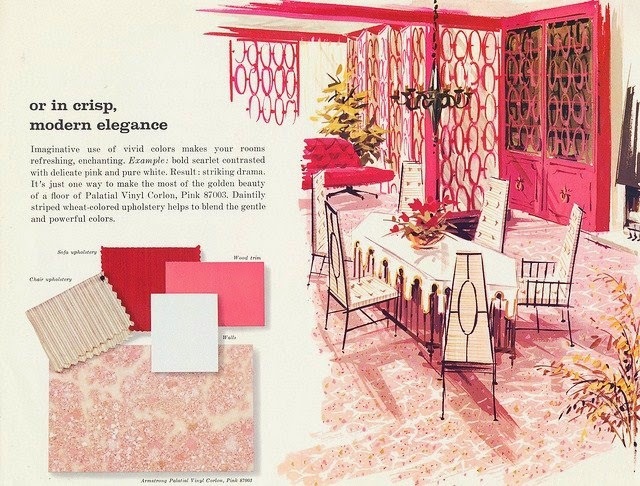 Where pink flooring was not hard to come by. But those hot pink, built in cabinets, do give me a little pause. Wow. Those really are powerful looking for the dining room. More from the 1960 Armstrong Vinyl collection. Love the lilac and blue theme in this dining room. 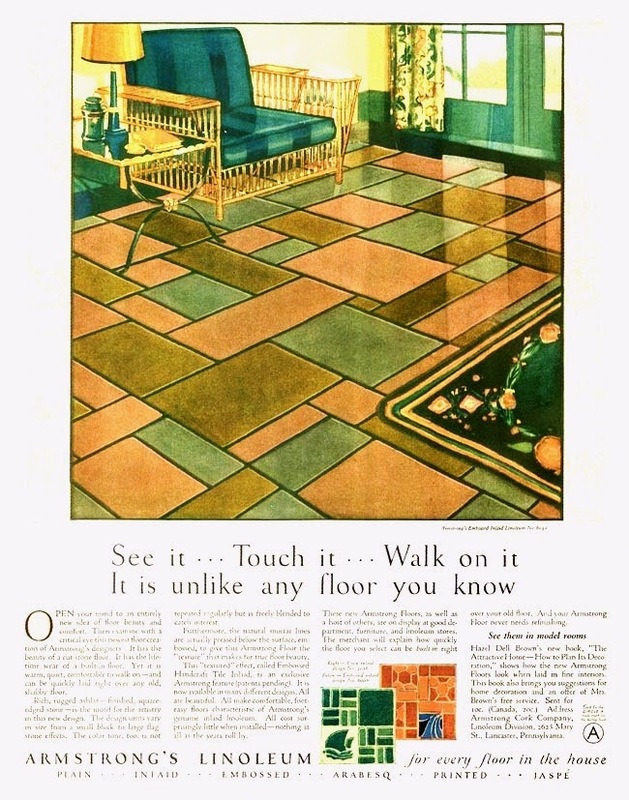 And this is the last of Armstrong Flooring advertisements that I found with a pinkish hue. After this point... it is all burnt orange, harvest gold and avocado green. The depressing years for me. Your blog is full of useful information. Thanks for posting. To know more about Armstrong Vinyl check out this website.